UTEP P3 works with various partners to offer a variety of online courses. These virtual courses are convenient and flexible and span a variety of subjects including health career training, web page creation, accounting fundamentals, project management, legal studies, and continuing education courses for teachers. Certifications are available in some courses as well. Scroll down and visit our partner websites to view and register for courses being offered. NEW: Easier Loan Application process. Visit https://ed2go.onelogos.net/ for details. 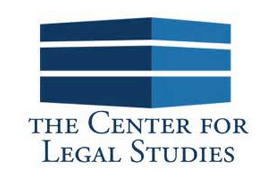 Legal studies course with updated curriculum to remain current and on-pace with the newest trends in the legal industry. Supporting innovative healthcare training and education programs in partnership with hospitals, employments agencies, and the military. Optional externships are available for most courses. Interactive courses to help you complete a degree, advance your career, or complete state re-licensure requirements. Online workforce education training with optional Externships available for some courses. These courses are designed for fitness professionals to enhance their skills with new nationally recognized certifications.